Printcom Inc – Printers we are…just printers we're not! Digital & Offset Printing + Warehousing! Apparel....just waiting for your logo! Think of us as your one-stop-shop! 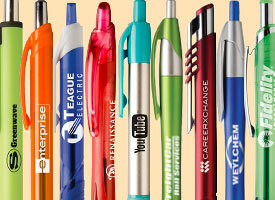 As one of the largest distributors of Hub Pens in the NW, we are able to pass on amazing quantity discounts to our customers…and, we can tell you which are best for your needs! Need forms and printed materials for your auto dealership? Then look no further! 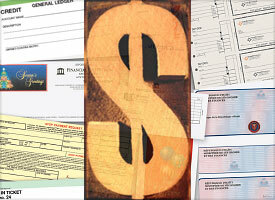 We have a large selection of stock forms and can provide any kind of customization you need. For years, we have been providing great pricing and quick turnaround on deposit slips, transaction sheets, privacy notices, statements, checks, brochures, envelopes and more! If your business uses checks, and you want a supplier that complies with the highest security standards, then give Printcom a call! Accepted file types: jpg, gif, psd, ai, eps, pdf, png. For files larger than 30mb please contact us for upload instructions. © 2019 Printcom, Inc. All Right Reserved.